The contest focused on original 8-10 minute works for college-level brass septet. All qualifying entries were played and evaluated using a blind audition process by representatives of the workshop coaching staff and other California professional brass musicians. Amateur musicians will perform this year’s contest submissions in a workshop format during the July 2013 Brass Chamber Music Workshop at Humboldt State University in Arcata, Calif. The Humboldt Brass Chamber Music Workshop is held each summer in two one-week sessions. 2013 sessions are scheduled for July 21-July 27 and July 28-August 3. Activities include: daily chamber ensemble rehearsals coached by some of the West Coast’s finest brass musicians; daily performances by participants; brass choir reading sessions; abundant freelance playing time; special-interest sessions on brass-related topics; and spectacular California North Coast scenery. 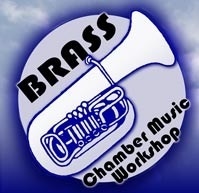 For further information regarding the Humboldt Brass Chamber Music Workshop or the Composition Contest visit http://www.humboldt.edu/brass/ .